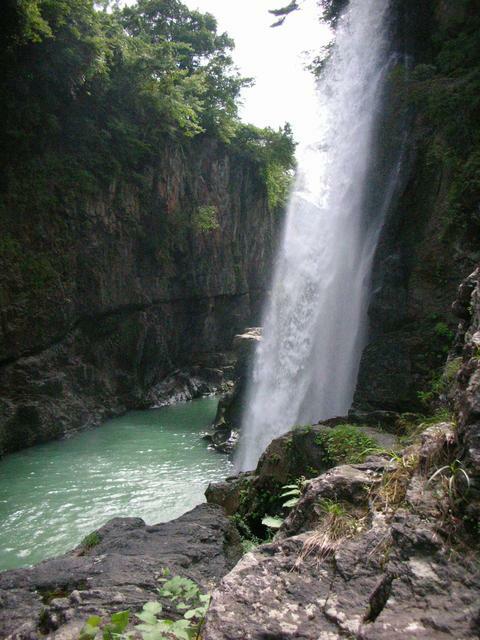 The Watagadaki Falls are one of the most famous spots in Tedori Gorge. Named “Watagadaki” (meaning “cotton waterfall”) because the water pours down like a white sheet of cotton, the Falls are the largest waterfall in the Tedori Gorge, crashing down a 32-meter-high cliff. There is a footpath that leads right up close to the Falls; to avoid slipping, it is advisable to wear shoes that give good grip, such as sneakers (trainers). The Watagadaki Falls are particularly spectacular in the autumn foliage season. The Falls are located approximately 50-minute drive from the Hakusan Interchange of the Hokuriku Expressway.